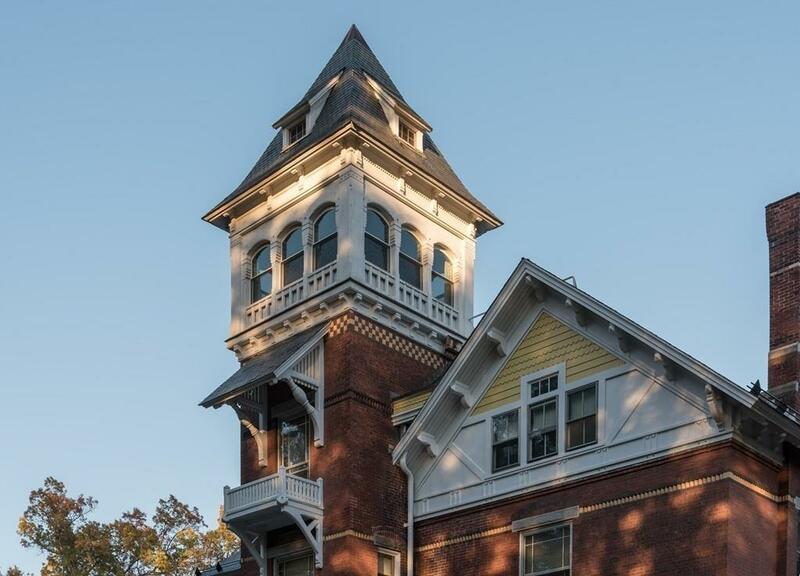 Multi-level condo in the top of the historic Grove Hill Mansion high ceilings, hardwood floors,great views and many unique architectural features, including private use of the mansion's enclosed tower rooms. Close to downtown Northampton, Rte. 9 and Interstate 91. 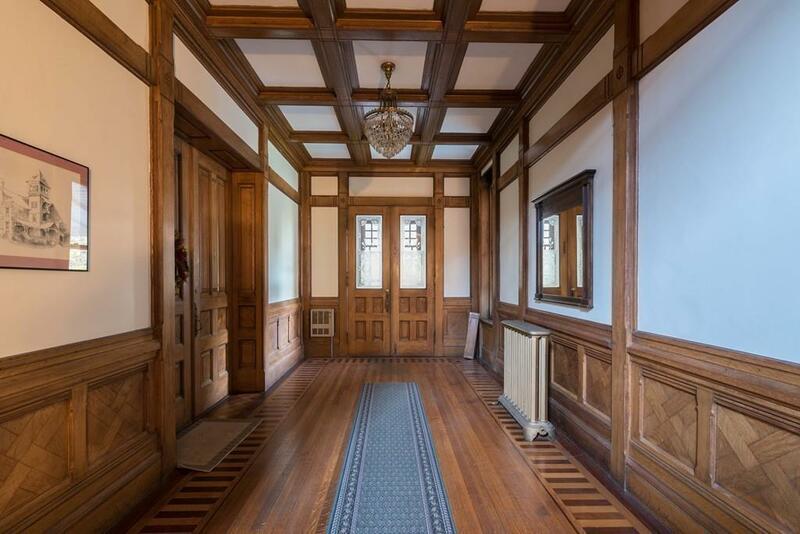 The unit contains the mansion's original chapel room with its elaborate structural woodwork on the walls and ceiling. The main area of the unit has a master bedroom w/walk-in closet, living and dining room, kitchen and chapel. A short 5 step stairway off the living room leads to a large bedroom with a refurbished antique wood burning stove. 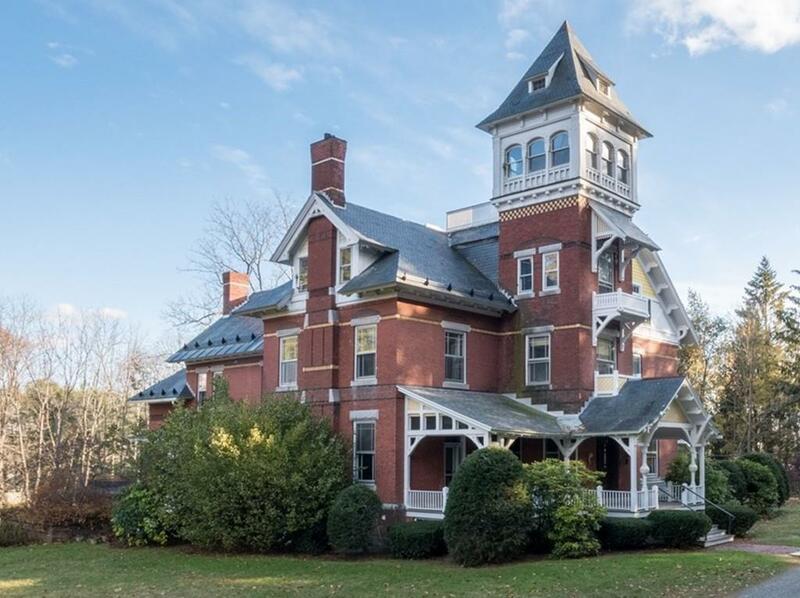 The kitchen has a small porch that overlooks the front of the house & spiral staircase that goes to another large storage area in the attic, and then comes to the the heated tower room w/windows on all sides offering magnificent views of the Pioneer Valley. 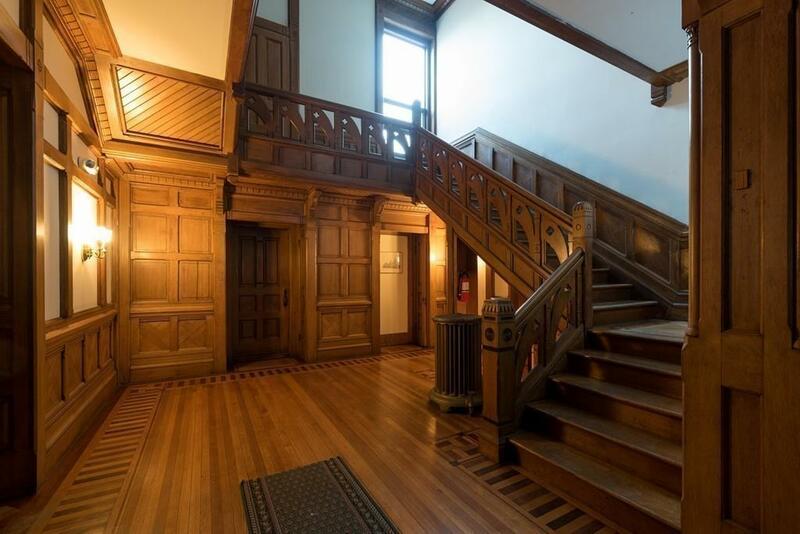 A door in the tower room leads to the rooftop deck. And finally, there is a 12x12' secret room under the tower eaves. One of a kind! Listing courtesy of Julie Held of Maple And Main Realty, Llc. Disclosures Cats Are Allowed And if Buyer Has Dog At Time Of Purchase That is Allowed But No New Dogs After. Listing provided courtesy of Julie Held of Maple And Main Realty, Llc.